The Orange Cat5e Keystone from CableWholesale is the perfect solution for your RJ45 female to 110 punch down connection needs. 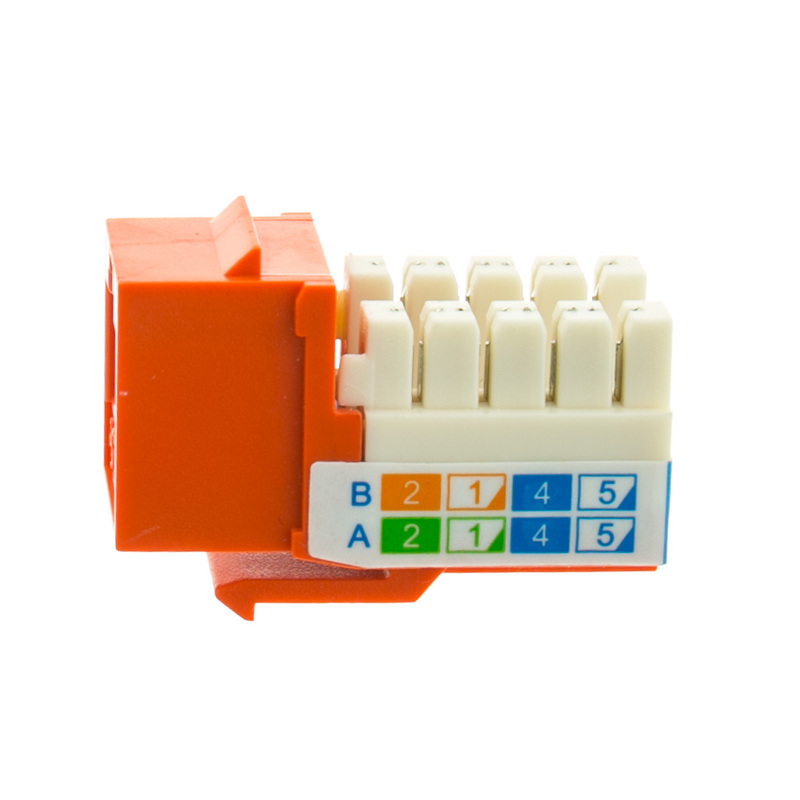 You can expect a clean transition between your Cat5e and 110 type punch down when you use this keystone to terminate network runs, and it comes complete with several useful features. 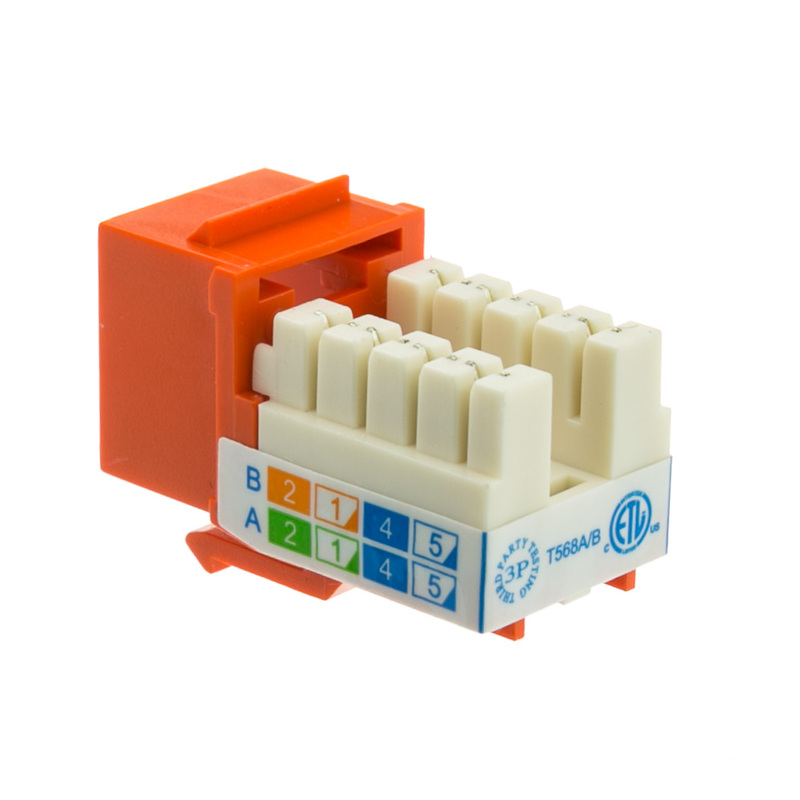 From its thermoplastics ABS housing to its signal boosting copper conductors, this is a quality keystone that you can also rely on. 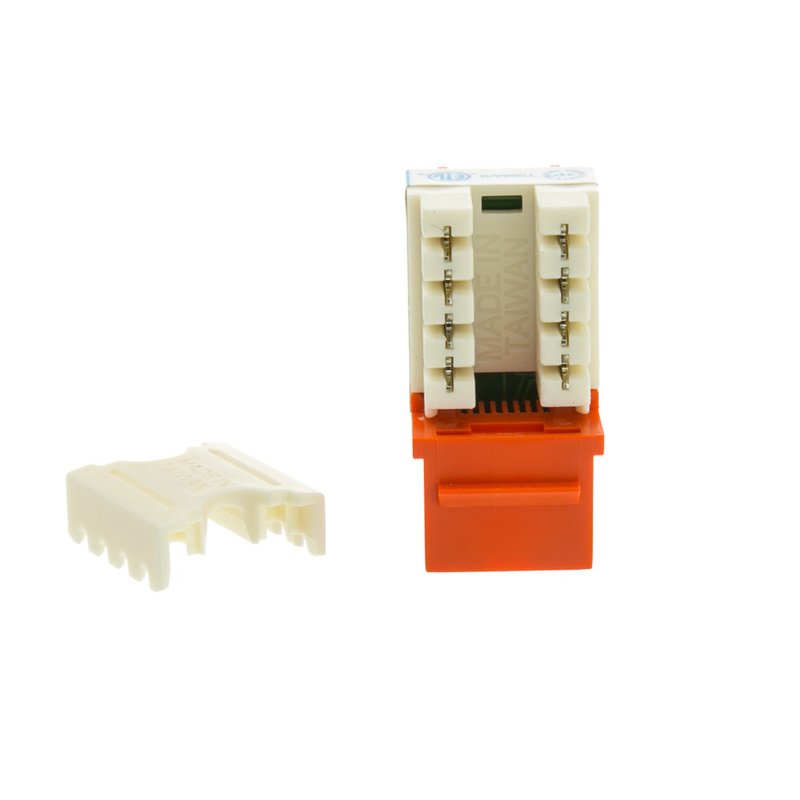 It meets and exceeds EIA/TIA-568-C standards. 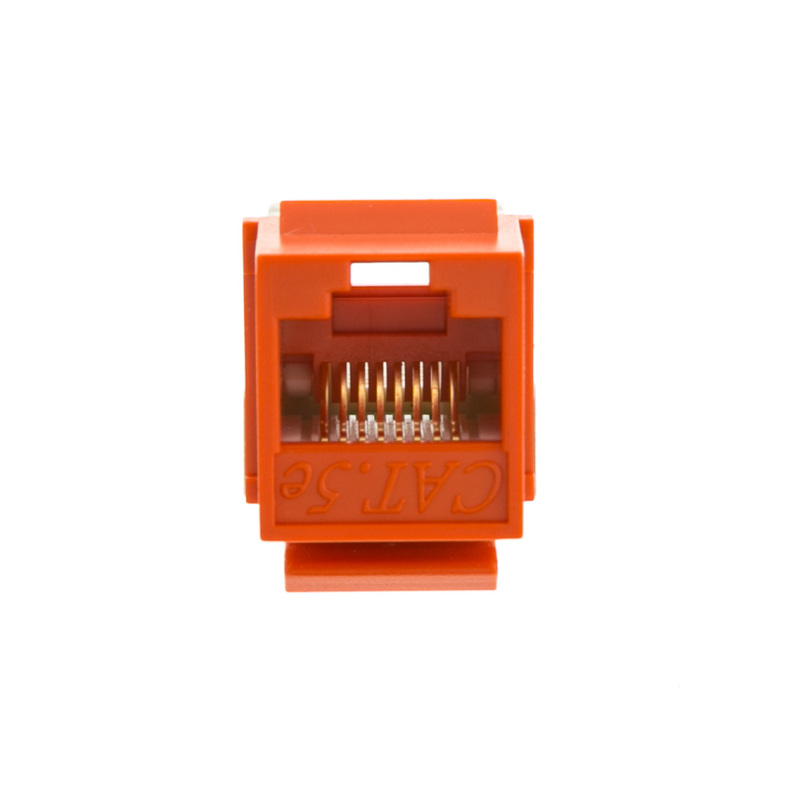 Additional features include its gold connectors that work to prevent against corrosion. 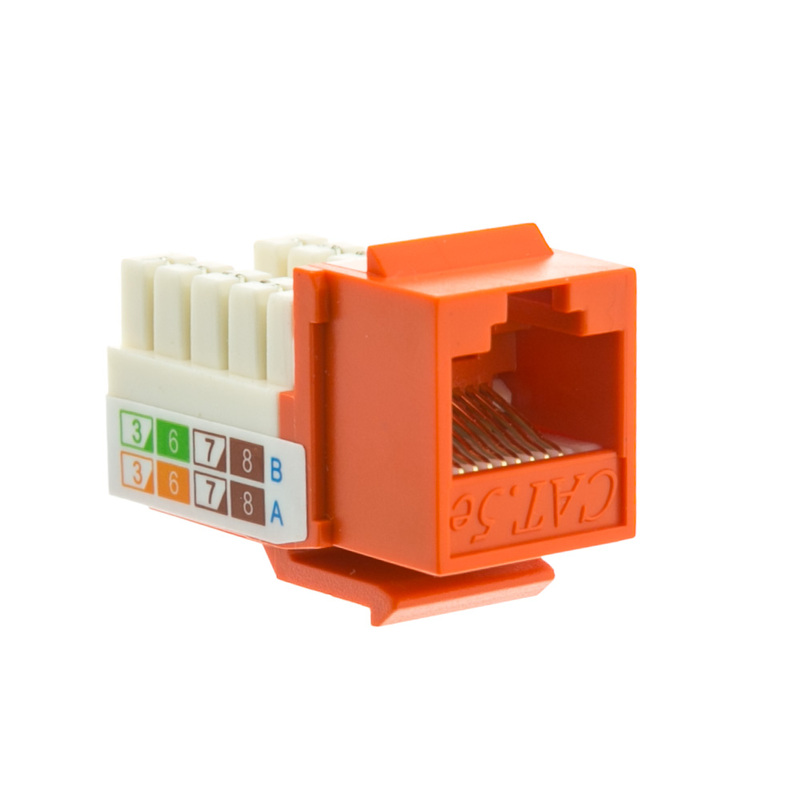 For more information about this Orange Cat5e Keystone or any of the other UTP keystone products we offer, please contact the CableWholesale team!